Consider adding a garden fountain or water fixture to your backyard this summer. Put the tomatoes in a medium bowl and toss with 3 tablespoons of the garlic oil, the mint, and 1 teaspoon of the salt. Put the beans in a food processor and add about 6 tablespoons of the garlic oil, the Parmigiano, 1 tablespoon of the lemon juice, the chopped rosemary, remaining 1/2 teaspoon salt, and the black pepper and puree until smooth. Season to taste with more salt, pepper and lemon juice. Heat a gas grill to medium high or prepare a medium-hot charcoal fire. Brush both sides of the bread with the remaining garlic oil. (If you run out, use plain olive oil to finish.) Sprinkle lightly with salt. Grill the bread until crisp, with nice grill marks on both sides, 1 to 2 minutes per side. Spread the grilled bread with the bean puree, top with a generous spoonful of the tomatoes and their juices, sprinkle lightly with pepper, and set out on a large platter so your guests can help themselves. Due to San Diego’s seasonal Santa Ana winds and dry vegetation, it is not a question of if, but when the next major wildfire will occur. Advance planning and preparation is the best defense and enables you to protect your family, yourself, and home in a responsible way. -Ensure that your home always has a fire extinguisher on hand and that your family is properly instructed on how to handle one. -Teach each member of your family where the electric, water, and gas shut-off controls are and how to properly use them in a time of need. -Create a family disaster plan that should include communication plans, meeting locations, and a safe evacuation route for your family and pets. -Practice and plan several different evacuations routes with each family member regularly to limit any confusion. -Assemble an emergency supply kit and keep an extra kit in each vehicle. -Hardening your home with fire-resistant materials. -Ditching your single-paned windows for dual-paned windows. -Ensuring that each level of your home has a working smoke detector. -Creating defensible space around your home. Trees should be cut back at least 10 feet from the home and other structures. -Removing dead leaves and pine needles from the roof, gutters, and yard. -Keeping grass mowed down to four inches or less. -Separating plants and shrubs to keep fire from spreading. 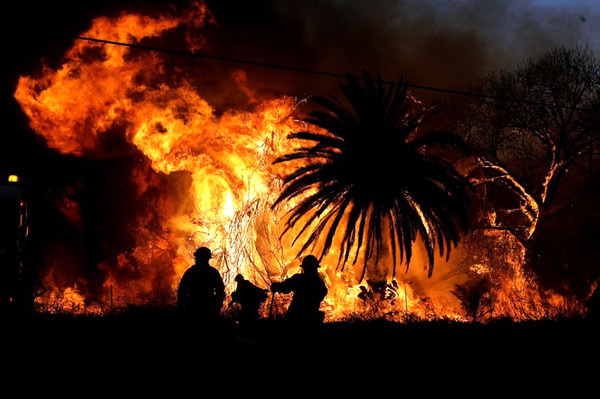 Most importantly, wildfire-related deaths occur because people wait too long to leave their home. Give your family the best chance of surviving by leaving your home early. If time allows, do the following things before evacuating your home. -Leave all windows and doors closed, but unlocked. -Move furniture away from windows and doors, to the center of the room. -Turn off your A/C and pilot lights. -Turn off gas and propane tanks. -Leave lights inside and outside of your home on. -Cover attic and ground vents with covers or plywood. Finally, monitor your local media outlets during high fire danger days for information. 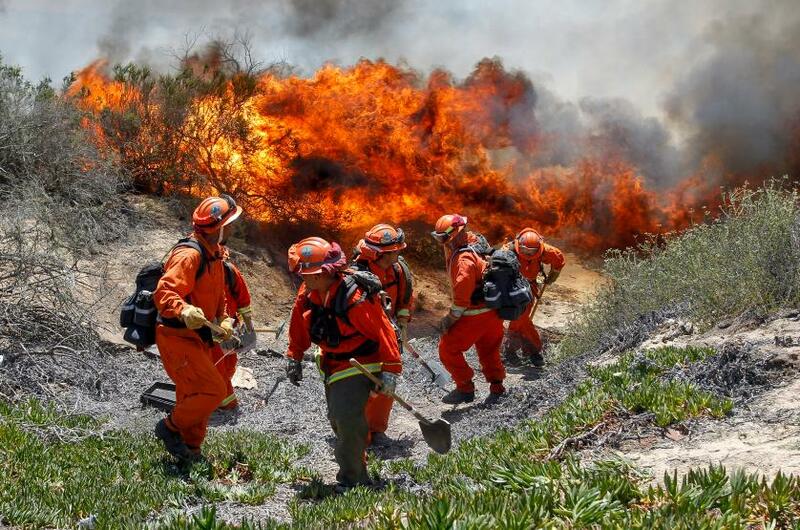 Windy, dry, and hot conditions create the perfect environment for a wildfire. For more information about wildfire safety, consult the Ready, Set, Go! guide from San Diego Fire. 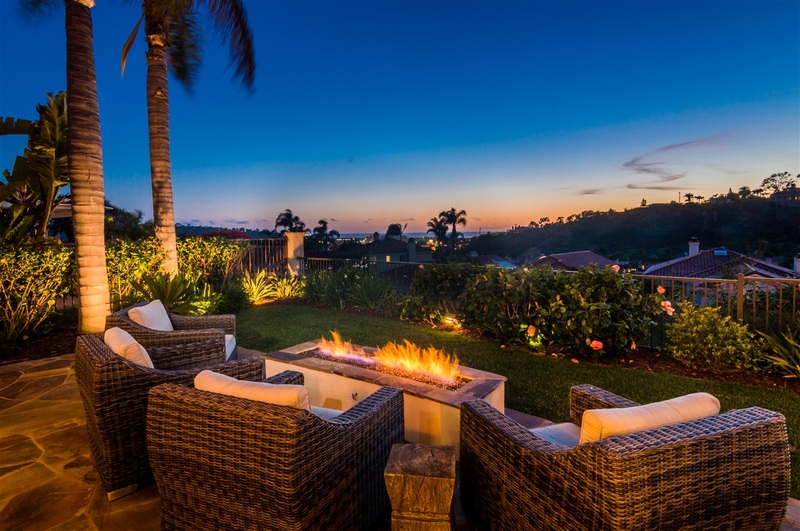 Situated in the sought after neighborhood of Muirlands Village, you will delight in the panoramic sit down ocean view stretching toward Wind ‘n Sea Beach. This three bedroom home has wonderful finishes and features. Enjoy the formal living room with high ceilings, a stylish fireplace, beverage station with wet bar, and sliding glass doors leading to the large wrap around deck. SOLD for $2,210,000. If Views & Privacy are a must, look no further! 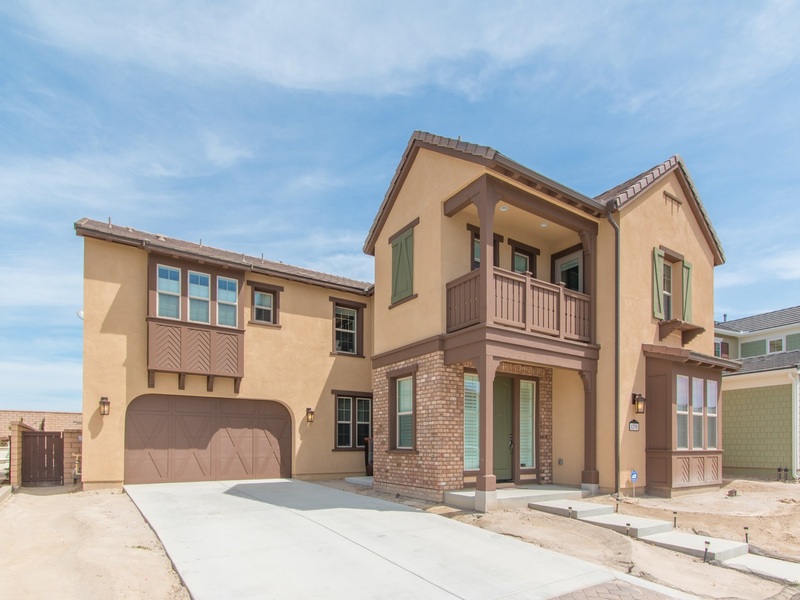 Custom single level with Santa Fe inspired architecture that the builder built for himself. Situated on one the most picturesque & private lots in Santaluz. Quality construction, open floor plan with large doublewide glass doors in great-room creating a true indoor/outdoor lifestyle, Wood beam ceilings, Gourmet kitchen with oversized walk in pantry, large bedrooms, inviting courtyard, low maintenance backyard great for entertaining. SOLD for $2,200,000. Opportunity knocks! 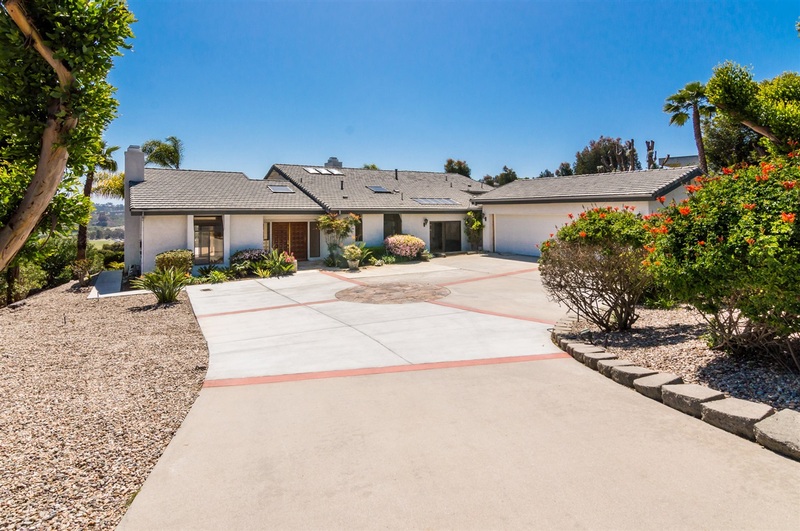 One of the best lots in Rancho Del Mar featuring a large 45,738 sq. 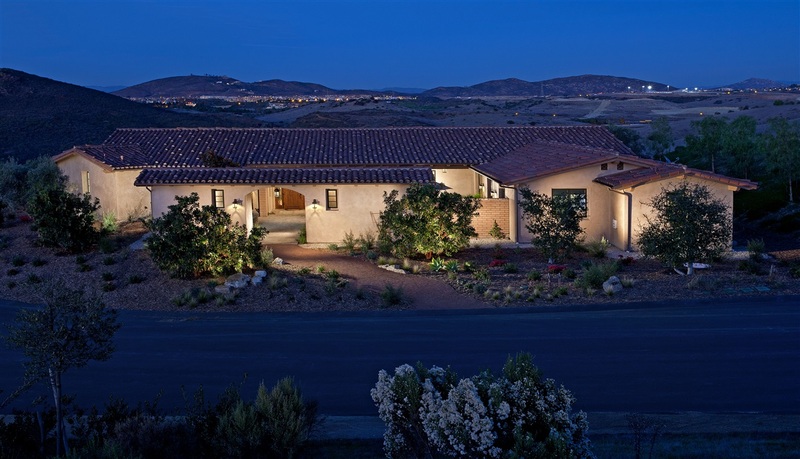 ft. lot with commanding views of the San Dieguito River Valley & the famous Del Mar Polo Fields. Located on a double private cul-de-sac street this architecturally well designed home is light and bright, with vaulted Cedar tongue and groove ceilings, two gorgeous rock fireplaces, 4 BR/ 3 1/2 BA plus an office. SOLD for $1,895,000. 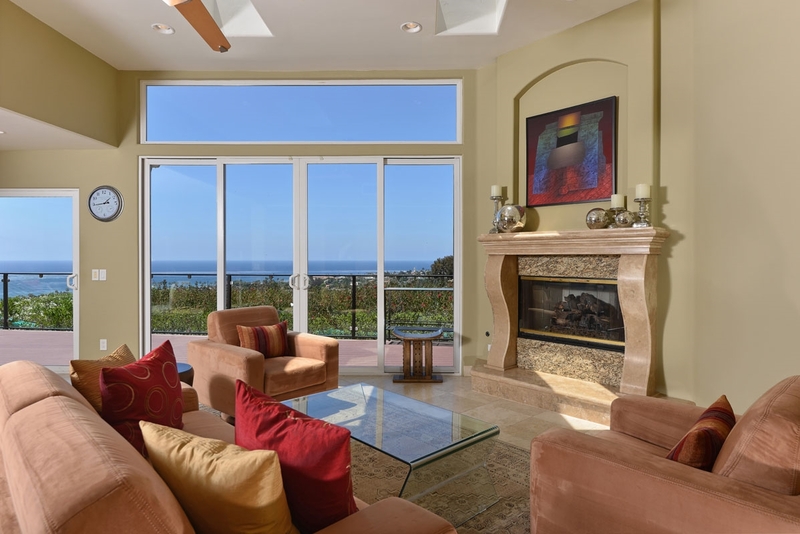 Meticulous attention to detail with Stunning finishes inside & out plus panoramic ocean views! Features include: Beautiful Gourmet kitchen with top of the line SS appliances, tumbled travertine, wood floors, new carpet, newer windows & doors, custom wrought iron railings, downstairs office/bedroom on main floor, Over-sized master bedroom with cozy fireplace & large viewing balcony, master bath with designer finishes, the list goes on and on. This home does not disappoint! SOLD for $1,575,000. Sophisticated style that will not disappoint! Amazing floor plan with lots of natural light, features include: Hard wood floors, Neutral décor, High ceilings, Crown moldings, New stainless steel appliances, Bonus room/Loft upstairs, Remodeled master bath. Wonderful South-facing backyard includes pool & spa, built in BBQ, & pergola perfect for entertaining. 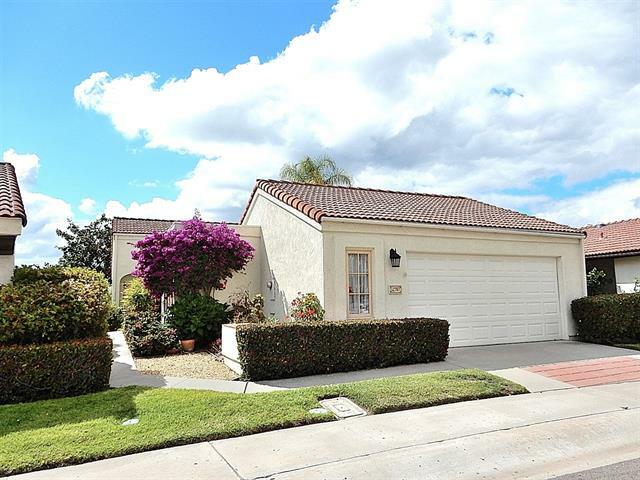 All this plus great location in the highly desirable Ashley Falls neighborhood, top rated schools, close to freeways, shopping, & so much more! SOLD for $1,488,000. Don’t miss the only chance to live in Watermark. Beautiful, turn-key, newly built Pardee Home. Oversized Master bedroom with bonus room, Large upstairs game room, downstairs guest suite w/bed/bath/sitting room, White-Shaker cabinets, Granite kitchen countertops with custom splash, Extra lighting & entertainment wiring, 6 speaker surround sound, custom window coverings, Crown Molding throughout, upgraded GE Monogram appliances/Sub-Zero fridge, HOA approved landscape plans and many other upgrades. SOLD for $1,487,500. 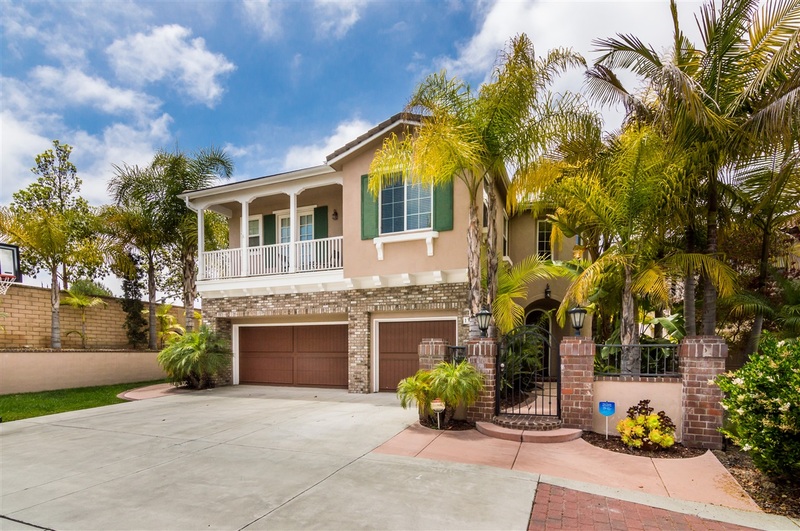 Great opportunity to purchase in one of San Diego’s most sought after gated communities. A true Tuscan w/ versatile floor plan including Chef’s kitchen w/ high end Thermador appliances, Over-sized center island & butler’s pantry, Multiple French doors, Large master w/ 2 balconies overlooking the courtyard and pool, All suite bedrooms, double casita w/ separate entrances, 4 car double tandem garage. Outside enjoy interior courtyard, large lot w/ stunning views, pool, BBQ Island, perfect for entertaining. SOLD for $1,430,000. Stunning Belmont w/panoramic canyon views & resort style patio, pool & spa! Enjoy quiet summer dining alfresco w/built-in BBQ, bar & fire pit. 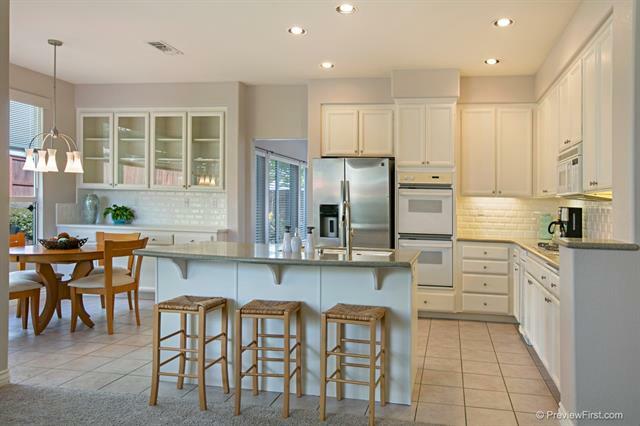 Gorgeous gourmet kitchen w/highly upgraded cabinetry & beautiful granite. One of a kind porcelain tile floors, new carpet, crown molding, stunning custom lighting & draperies. Dwnstrs office (no closet)w/full bath & 3 bedrms up plus bonus room which buyer can finish for an additional bedroom. Close to award-winning schools, shopping, parks, & the best beaches! Wow! SOLD for $1,318,000. 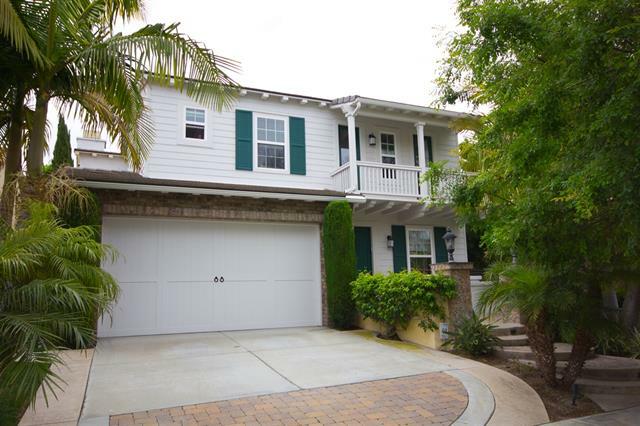 Stunning home is situated in the gated community of Santa Barbara. Step inside & be welcomed by beautiful hand distressed wood floors, neutral décor, bedroom on main floor, crown moldings thru-out, spacious kitchen w/SS appliances & large center island. Upstairs you will find a lavish master suite with fireplace & large walk-in closet, large bonus room & upstairs laundry. Located on a cul-de-sac with great outdoor space, tropical landscape & over-sized BBQ island, 3 car garage & so much more. SOLD for $1,250,000. 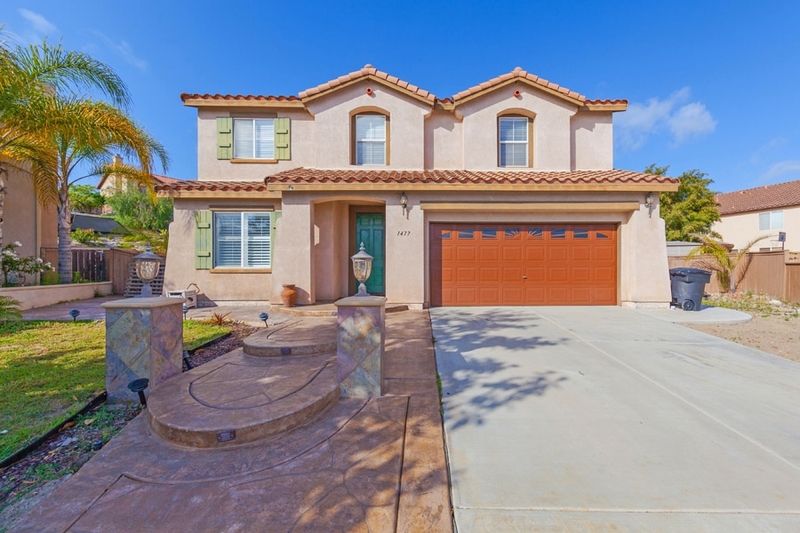 Fantastic home in Arroyo Vista within walking distance to all schools. This home is situated in a culdesac w/ a west facing pool sized yard & VIEW. With the Master bedroom & retreat located on the 1st floor, this home lives like a single story. Also on the 1st floor is an office, outdoor courtyard, dining room & family room. The FR is open to the lrg kitchen w/ huge granite island & is flooded w/ light. Other 4 beds are located upstairs w/ huge bonus room & desks along wall. A/C, 3 car gar. SOLD for $1,199,990. 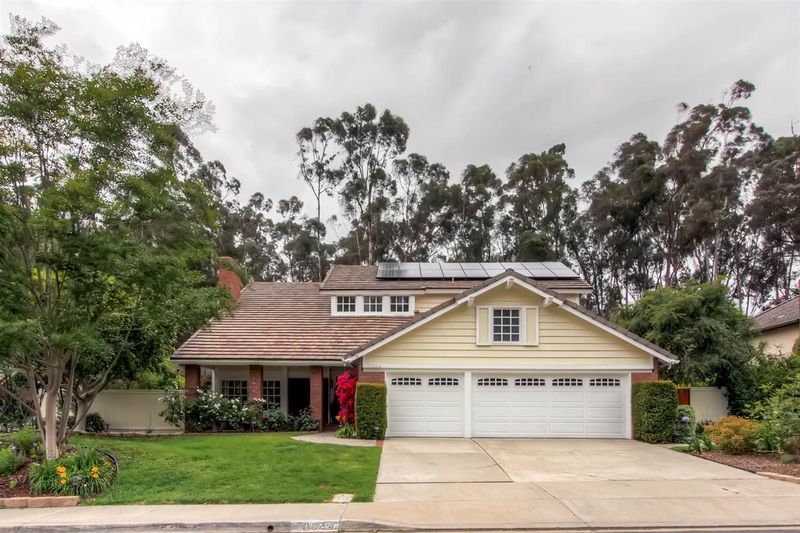 Sellers will entertain offers between $999,000 and $1,099,000 for this beautiful 4 bedroom, 3 bath home located on a prime, tree-lined cul-de-sac in highly sought-after Whispering Ridge. The charming property has great flow and style with too many upgrades to list. It has a remodeled top-quality chef’s kitchen with stainless steel appliances and granite slab counters, beautiful travertine flooring, hardwood flooring, custom designer carpet, crown moldings, newer windows and much more. SOLD for $1,075,000. Don’t miss out on your opportunity to own in the highly desirable Cantamar community of Carmel Valley. Pride of ownership reflected throughout from the beautifully manicured gated courtyard to the stunning master bedroom suite. Upgrades throughout including gorgeous Brazilian cherry hardwood floors, marble tile and remodeled kitchen and baths. Spacious Plan 4 built by Baldwin Developers featuring 4 bedrooms plus a large loft, including full bedroom and bath on entry level. No HOA and low Mello Roos. SOLD for $1,075,000. Upgraded Arabella Home with a VERY large and private backyard! 4 Bedrooms plus den/optional bedroom. DOES NOT BACK TO BUSY ROAD!!! One BEDROOM and FULL BATHROOM DOWNSTAIRS. Slab Granite Kitchen w/ Stainless-Steel Appliances! Beautiful Travertine Floors & Berber Carpet! Family Room Fireplace! Marbled Master Bathroom! Tankless Water Heater! Community features a Recreation Center with Pool, Spa, Gym, Club House and more! 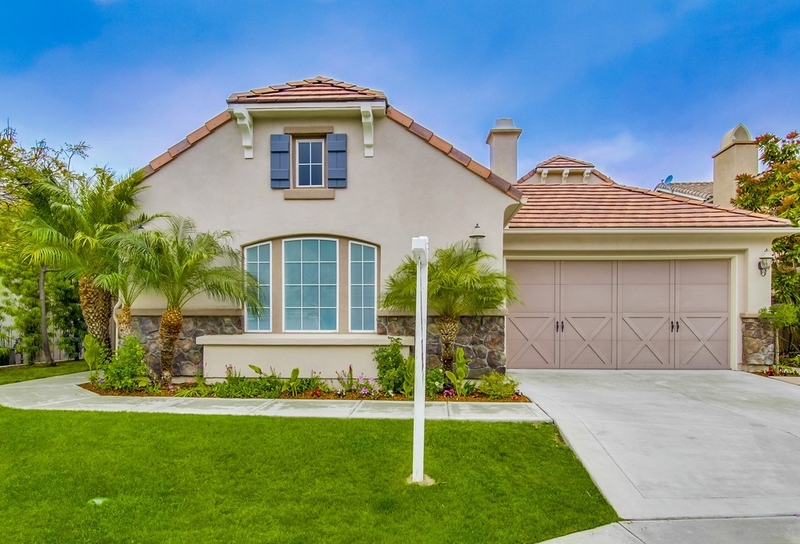 Conveniently located close to trails, schools, shopping, freeways and more. SOLD for $1,069,000. This home is light, bight and spacious. With spectacular views, large deck overlooking the preserve, and plenty of indoor/outdoors space for entertaining. 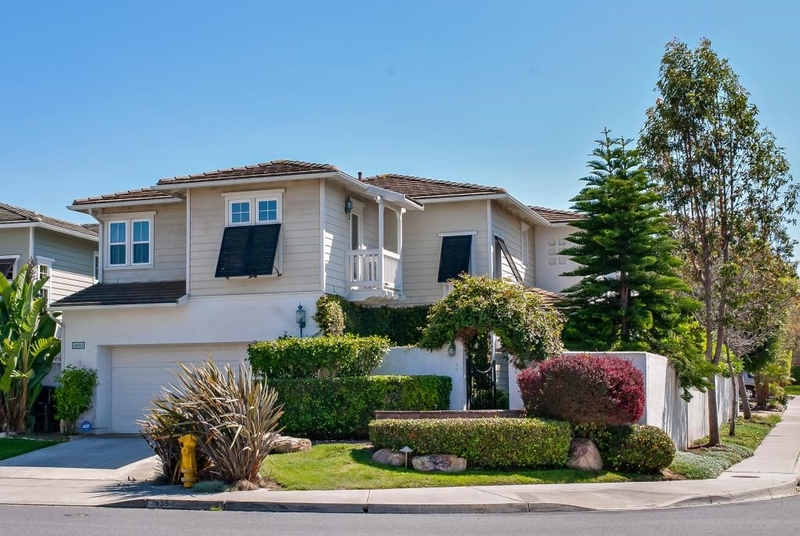 Southeast orientation maximizes light, while keeping this 5 bedrooms, 4 full baths, 2,869SqFt., cul-de-sac location, cool in the afternoons.1/3mile from top rated Park Village Elementary (Poway School District) and Penasquitos Creek Park. Just 4 minutes from SR-56, and 6 minutes from I-5, providing easy access to Del Mar, La Jolla and Downtown SD. SOLD for $945,000. 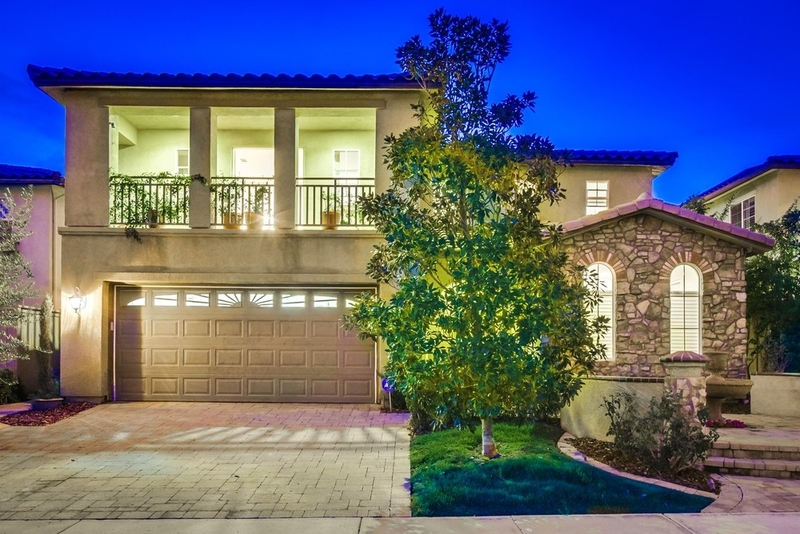 Highly upgraded Cantata home located in the sought after Aviara neighborhood. Paradise like backyard offers a sparkling pool/spa, water features, a built-in BBQ and a Gazebo. Newly redone kitchen with granite counter tops. Beautiful combination hardwood and tile flooring. Downstairs bedroom and bath. Quiet cul-de-sac location. SOLD for $1,050,000. 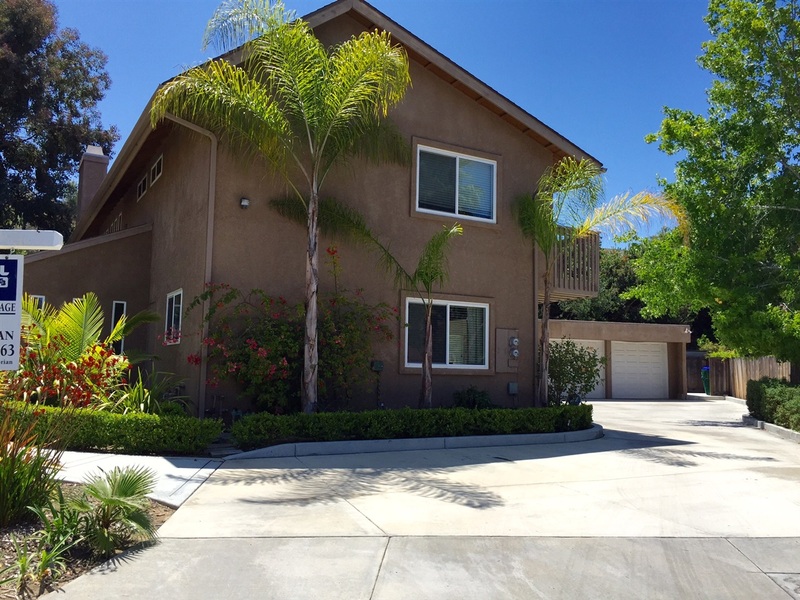 Beautiful 4 bed/2.5 bath corner lot home in Torrey Hills. Upgrades include granite kitchen counter tops, stainless steel appliances, wood and carpet flooring, ceiling fans, custom paint, built-in outdoor BBQ grill. 2-car garage with epoxy coating and plenty of storage space. 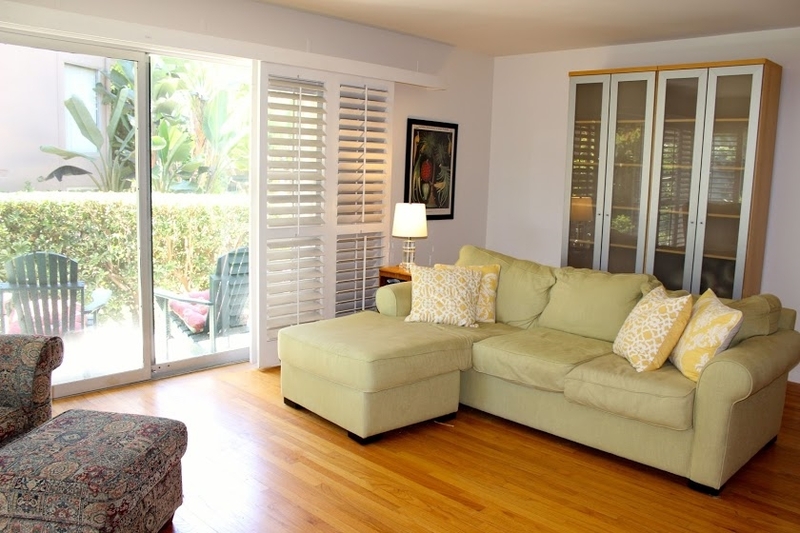 Conveniently located near top-rated schools, shopping, dining, Ocean Air Rec. 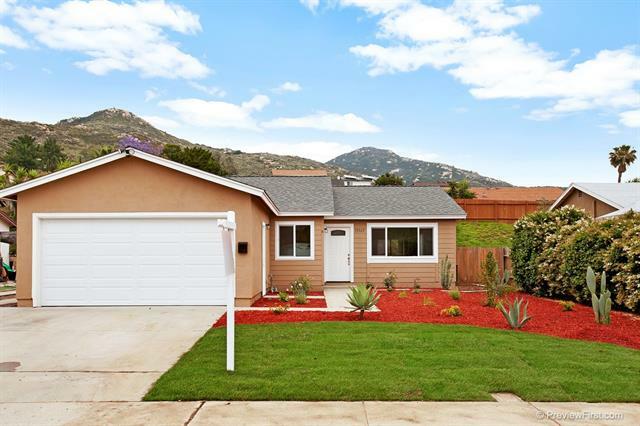 Center, Torrey Hills Community Park, Penasquitos Canyon Preserve, minutes away from Torrey Pines Beach, and quick access to freeways 5, 805, and 56. SOLD for $995,000. 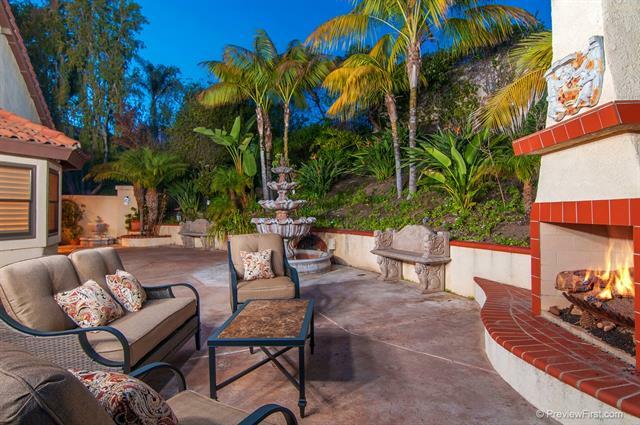 A Peaceful Sanctuary located inside the gated community in Del Mar. Beautifully upgraded home on a corner lot with two car attached garage with plenty of storage. Vaulted ceilings with skylights and mahogany wood floor and imported travertine flooring. Custom design free-standing curved mahogany stairscase. Custom stone fireplaces in both the family and living room. Open concept kitchen with Ceasarstone counter tops, custom cherry cabinetry, built in stainless steel appliances including wine refrigerator. SOLD for $1,020,000. Well maintained duplex, refurbished in 2008 located in the best part of La Costa on a small cul-de-sac, private & quiet. Beautifully landscaped with low water plants & artificial lawns, patios, balconies with peek of ocean view from upstairs. All new concrete driveway & parking area with detached 4 car garage. Exterior has new stucco, paint, fences & garage doors. Interiors also partially refurbished. Long time family tenants in both units. Seller may carry w/25% down 3.75% for 15 years. SOLD for $1,014,000. Expansive, elegantly upgraded home on quiet street. 1st floor ensuite room with full bath perfect for seniors, guests. Chef’s kitchen: granite, stainless steel, cheery nook & butler’s pantry to formal dining room. Big loft upstairs & alcove with desk. Master suite: sunny nook, huge walk-in, 2 vanities & tub. 3 additional bright rooms with 2 baths for children. Entertain in backyard: patio, built-in BBQ, firepit & charming garden. 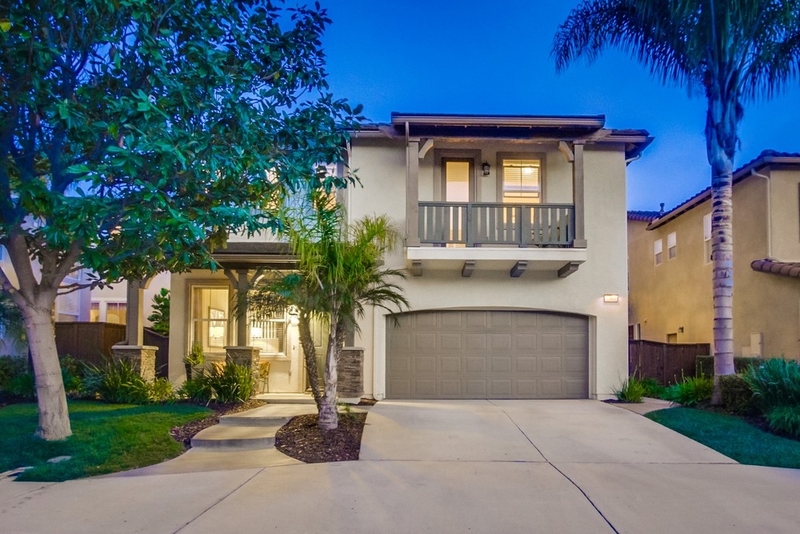 Enjoy Torrey Highlands: easy freeway access, trails, shopping & top schools. SOLD for $920,000. 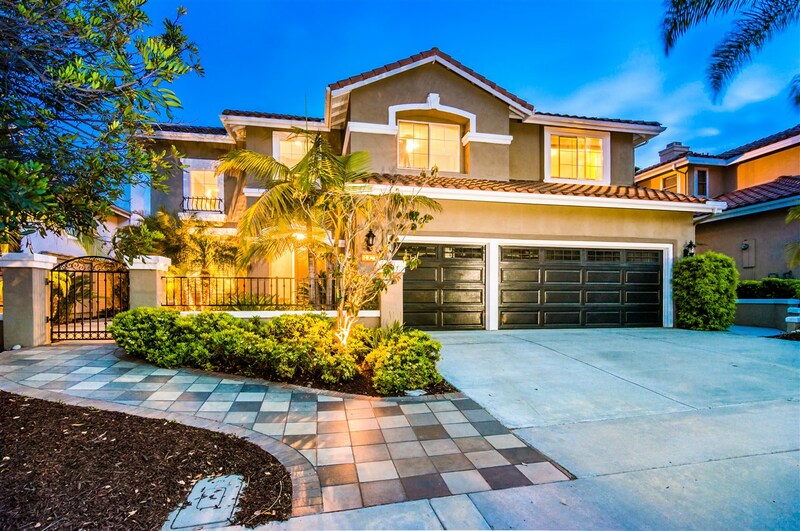 Stunning 2006 custom built 4 bedroom and 3 bathroom home in Wine Country neighborhood of Scripps Ranch. This home has every designer touch including wood floors, gourmet kitchen with large walk in pantry, 9 ft ceilings, over sized family room, spiral staircase, tray ceilings in several rooms, crown molding through out, 3 walk out balconies. Master bedroom has a fireplace, his and her walk in closets. Walk to award winning Jerabek Elementary School, Jerabek Park as well as local restaurants. SOLD for $918,000. Spacious 4S Ranch home boasts an open floor plan & elegant touches. 1st floor bedroom with full bath great for guests, seniors! Gourmet kitchen: granite, stainless steel, carved stone, walk-in pantry & island. French doors to yard. Formal dining & living rooms. Impressive master has jetted tub, Roman shower & huge walk-in. Add. upstairs bedrooms with walk-ins, 1 with covered balcony. Entertain in private backyard: romantic fireplace, covered patio & lawn. Enjoy 4S: top schools, easy fwy access & shopping. SOLD for $888,000. 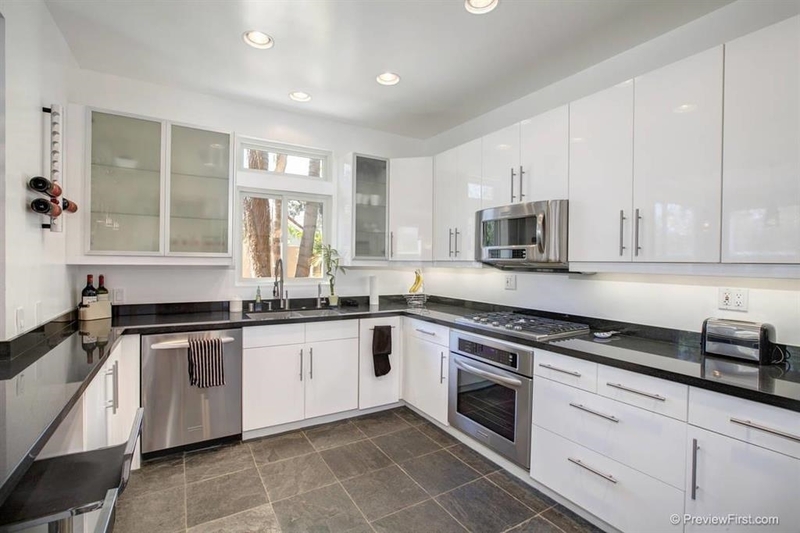 Stunningly remodeled family home on quiet cul-de-sac. Conv bedroom w full bath downstairs. Kitchen has corian countertops & new custom backsplashes. Brand new carpet throughout, new porcelain tile in entry, all baths & laundry. Decorator paint colors, vaulted ceilings & multiple windows make this home light & bright. Master BR has large retreat that can be used as an office, nursery or work out room. Large private backyard w/room for pool. Highly rated PUSD. No HOA & low Mello Roos soon to expire! SOLD for $870,000. 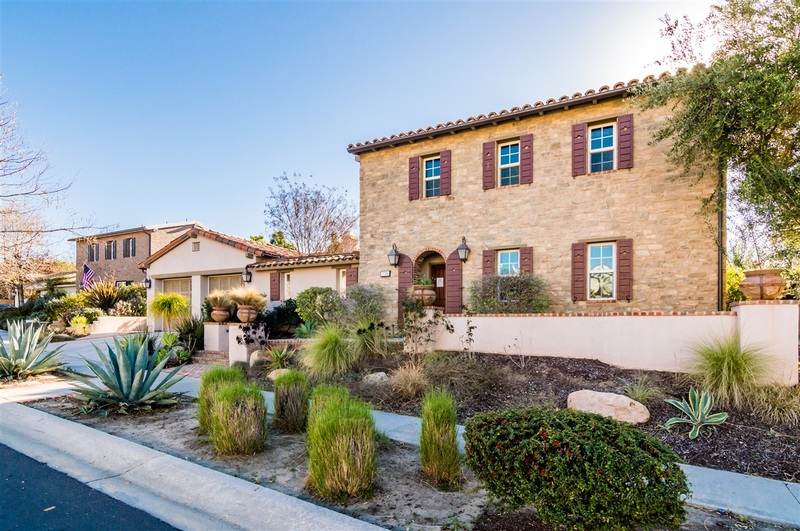 Situated on .25 of an acre, the beautiful 4 bedroom home is located on a quiet cul-de-sac street in the highly sought after Wine Country neighborhood of Scripps Ranch. This home boasts an updated eat in kitchen, wood floors and both formal living and dining rooms. The backyard is true oasis featuring a sparkling pool and spa, a picturesque tree and plenty of space to play and relax! SOLD for $810,000. 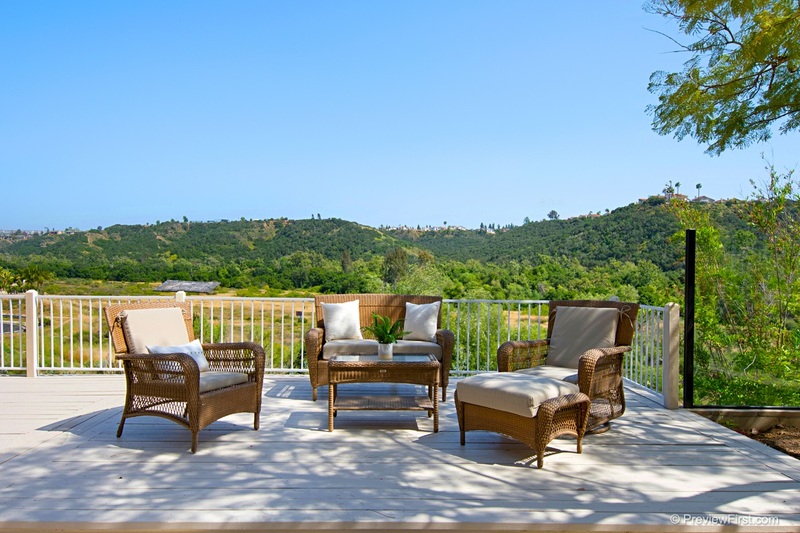 Highly desirable Canyon Ridge at it’s best! Quiet location across from pool, South facing bringing in lots of light, stunning remodeled kitchen with slab granite counter-tops, upgraded cabinets & light fixtures, optional bedroom/office on first floor with full bath, 2 car garage plus more! The gated community of Canyon Ridge has a pool and is close to all; award winning schools, parks, shopping, dining and is only 3 miles to the beach! SOLD for $842,000. 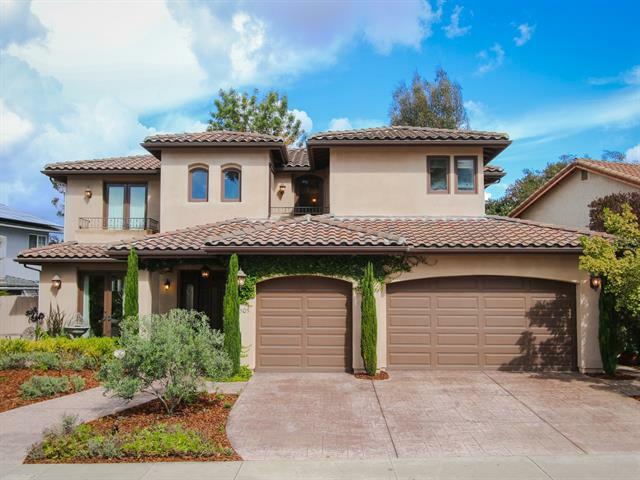 Stunning home with open, flowing floorplan in upscale Torrey Highlands. Welcome guests in elegant entry with large windows & gorgeous wood floor. Entertainer’s kitchen with granite & stainless steel. The dining room opens to a charming courtyard for indoor/outdoor dining. Overlook both courtyard & backyard from the spacious master & luxe bath. Your built-in home office looks out to the open loft! Outdoor living year round in the low-maintenance yard. Enjoy top schools, convenient fwy access & amenities. SOLD for $810,000. Beautiful home in La Merida perfectly situated on a flat, cul de sac street! Freshly painted exterior, nicely landscaped and move-in ready interior. Gorgeous kitchen remodel with custom cabinetry, granite counters, stainless steel appliances and tile flooring. Floor plan offers 3 bedrooms plus loft upstairs, spacious living & dining areas & indoor laundry. Dining room has added built in shelving and wine racks. Neutral decor throughout. Lovely, private back yard with patio and lawn areas. SOLD for $764,500. 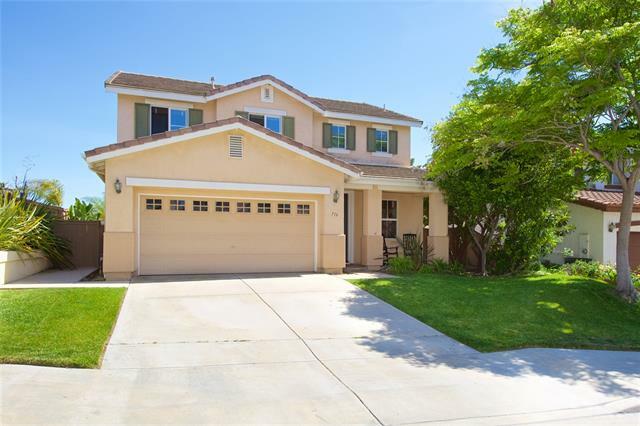 This spacious home with full bedroom and full bathroom downstairs sits on a quiet street in the highly desired community of Rancho Penasquitos. 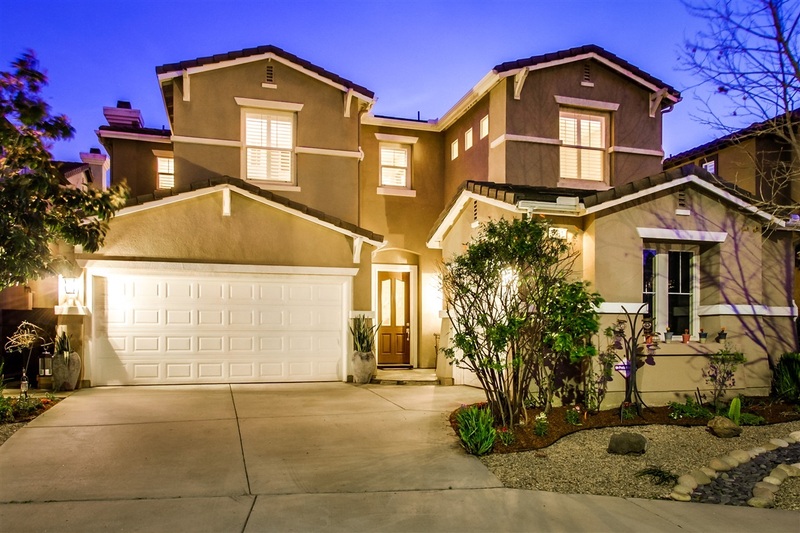 Location is fantastic – offering great schools and quick freeway access. Spacious floor plan with vaulted ceilings in living room and master bedroom. Kitchen has been completely redone with new cabinets, appliances, counter-tops and Bamboo strand flooring. Backyard has a large pool for those warmer days. SOLD for $760,000. SOLD BEFORE IT HIT THE MARKET. You don’t want to miss this one! Beautiful home located on a cul-de-sac street. Numerous upgrades & walking distance to schools from trails! This spacious home boasts privacy with a greenbelt behind & desirable floor plan with a full bedroom & bathroom downstairs. Upgrades include plantation shutters, walk-in pantry, granite counters, custom backsplash & travertine floors. SOLD for $755,000. Private corner location in Park Village w/3 Bedrooms + Additional Office/Den area. Enjoy living inside & outdoors! Light, bright & open floor plan; Living rm w/open wall to family rm w/gas fireplace & opens to kitchen area. Dining area has built-in cabinet w/glass doors & sliding glass doors. Kitchen w/breakfast bar & lots of windows. While dining, enjoy the views of the retreat backyard w/covered patio sitting area & pool/spa (w/solar)! NO HOA!!! SOLD for $750,000. Come see this beautiful home!…Excellent for entertaining!!! End of cul de sac location. Custom paint throughout…Over sized kitchen island, lots of cabinet space, cook top stove & spacious pantry. bedroom on first floor, large loft on the 2nd floor, NO HOA, No Mello Roos! Pool, elevated spa, water slide, fire pit, separate yards. SOLD for $690,000. Sweeping open space views will captivate you! Great location: this pristine home sits on a quiet street. Gourmet kitchen boasts stunning granite, stainless steel & eat-in counter. Dine outdoors in charming courtyard oasis! Elegant dining & living rooms for entertaining & family time. Spacious master: walk-in closet, marble shower & soaking tub. Watch the sunrise over Black Mtn from your private balcony. Add. bedrooms are large & bright. 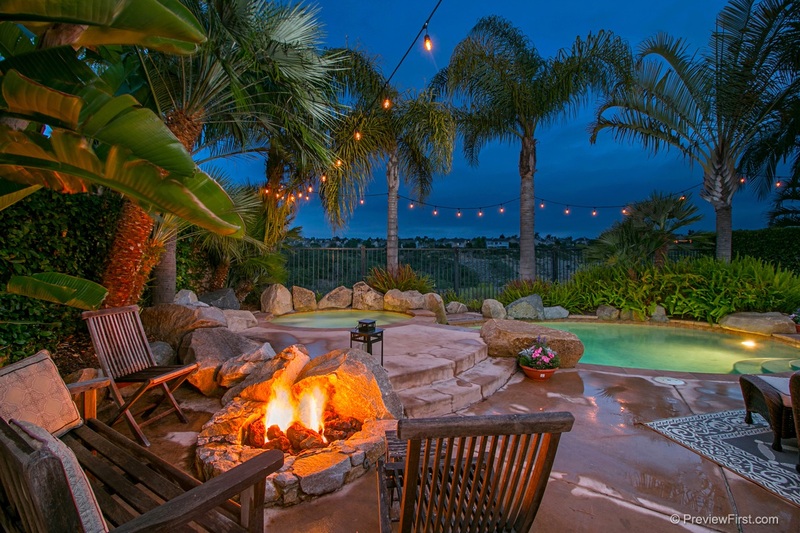 Enjoy Del Sur: shopping, top schools & n’hood parks, pools & trails. SOLD for $706,800. Gorgeous OPEN & LIGHT Floorplan! MASTER SUITE DOWNSTAIRS, Extensive use of Window & CROWN MOLDINGS, Private GATED COMMUNITY, Beautiful GRANITE & MAPLE KITCHEN, Large GRASS AREA and OUTDOOR LIVING, Tile & Hardwood Floors, Shows LIKE A MODEL, BONUS OFFICE, Vaulted Ceilings w/ Lots of Windows, THREE CAR GARAGE, Corner Gas Fireplace w/ wrap-around Custom Mantel, LR Media Niche, Upstairs Bedrooms have Custom Wood Work and Wainscoting, Master Bedroom Sliders to Yard, Bathrooms have Dual Sink Vanities! See Sup! SOLD for $670,000. Spacious 3 bedroom condo with private 700 sq ft patio for gracious entertaining. Single level with hardwood floors and large windows inviting the outdoors in! Quiet,desired location that lives like a single family home. Private garage adjoins patio for easy access from La Jolla Hermosa. Plantation shutters, direct terrace access from 2 bedrooms. Front deck is west facing adjacent to rose garden. Good storage and builtins. Easy walk to beach and shops! HOA fee is comprehensive and covers most expenses. SOLD for $640,000. 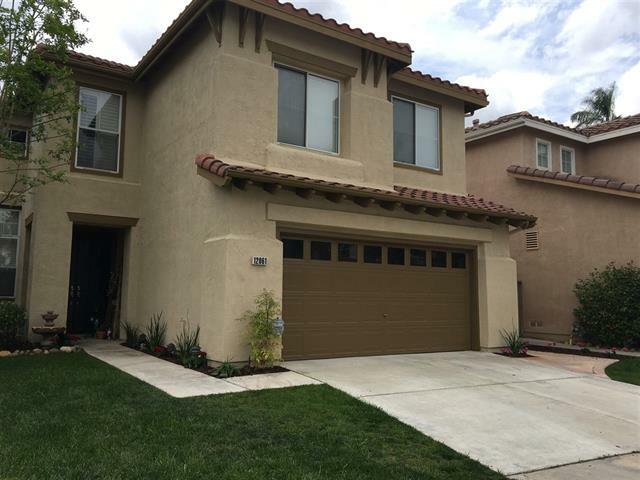 The nicest home in Poway close to this price just hit the market. Stunning Renovation on a flat lot. Curb appeal galore thanks to the new paint and fresh landscaping outside. RV/Boat or other toy parking on the left. After enjoying that, step inside to the light and bright great room with new flooring, new kitchen cabinets with granite, new appliances. Step out back into the enclosed patio. Room for everyone in this 5 bedroom home. New AC/heater/water heater, too! SOLD for $600,000. 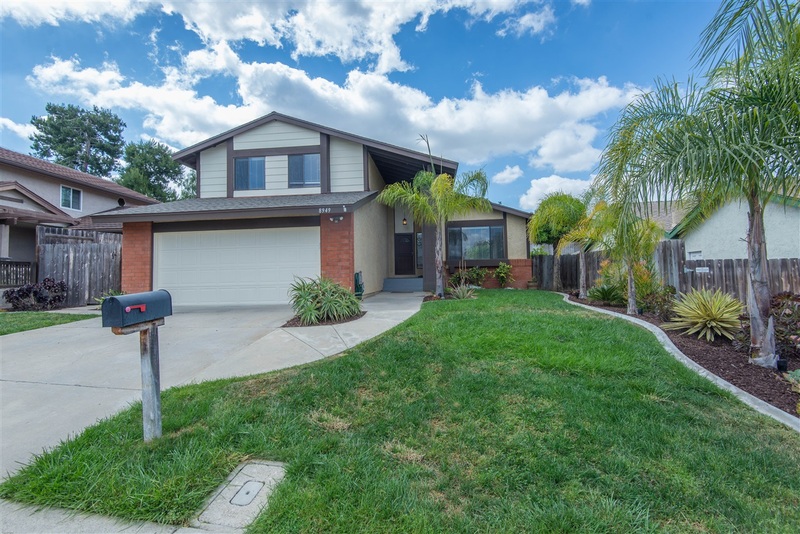 Highly upgraded Sunbow home w/ No HOA Dues! The beautiful kitchen boasts slab granite countertops & a large custom island, ideal for the aspiring chef. The first floor of the home features a great open layout, perfect for entertaining! The bathrooms have been tastefully renovated w/ granite & marble accents. Enjoy our epic San Diego weather in your private backyard w/ a covered patio & a spacious lawn. Off the master bedroom enjoy stunning sunsets & expansive views from the custom deck. FHA/VA welcome! SOLD for $550,000. EXCELLENT PRICE FOR 3 BR W/ GOLF CRS & MOUNTAIN VIEWS! FRESH & CLEAN WITH PLANTATION SHUTTERS, SOME DUAL PANE SLIDER & WINDOWS. NEUTRAL QUALITY TILE. #3 BR-HAS NO CLOSET DOOR. BYR TO REPLACE TIRED CARPET. VAULTED CEILINGS IN LR. 2 SKY LITES, WRAP AROUND COVERED PATIO FACING EAST-GOLF COURSE & MOUNTAIN VIEW. 2 CAR GARAGE, CENTRAL A/C, SMALL FENCED BK YARD WITH EZ CARE LANDSCAPING. BYR TO VERIFY ALL SF & MEAS, ALL INFO PROVIDED BY AGENTS, HOA, PROPERTY MGM’T, GOVERNMENT AGENCY, ETC. SOLD for $559,000. There’s nothing like lazing away a summer afternoon in your own backyard hammock! We are loving these ideas for a dreamy summer escape. 1. Pulse first 4 ingredients in a food processor until blended. Add cold butter, and pulse 5 or 6 times or just until mixture resembles coarse meal. Stir together egg yolks and ice-cold water. With processor running, pour yolk mixture through food chute, and process just until mixture forms a ball and pulls away from sides of bowl. Wrap dough in plastic wrap; chill 1 hour. 2. Meanwhile, melt 3 Tbsp. butter in a 1-qt. saucepan over medium heat. Add rhubarb, and sauté 3 minutes. 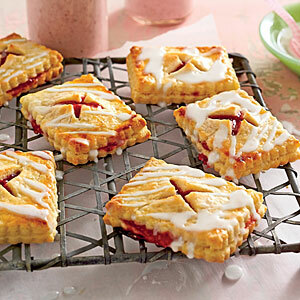 Stir in strawberries and 2/3 cup granulated sugar; cook, stirring constantly and crushing fruit with spoon, 5 minutes. 3. Stir together 1 Tbsp. flour and 2 Tbsp. lemon juice until smooth. Stir juice mixture into rhubarb mixture; bring to a boil. Cook, stirring often, 2 minutes or until thick. Remove from heat, and transfer mixture to a small bowl. Cover and chill 30 minutes. 4. Preheat oven to 350°. Unwrap dough; roll to 1/8-inch thickness on a floured surface. Cut dough into 48 rectangles, using a 2 1/2- x 3-inch cutter and rerolling scraps. Place half of dough rectangles 2 inches apart on parchment paper-lined baking sheets. Top each rectangle with about 1 Tbsp. strawberry mixture. Dampen edges of dough with water, and top with remaining dough rectangles, pressing edges to seal. 5. Stir together egg and 2 Tbsp. milk, and brush over tops of tarts. Cut a small “X” in top of each tartlet for steam to escape. 6. Bake tartlets at 350° for 30 to 35 minutes or until golden. Transfer tartlets to a wire rack; cool 15 minutes. Whisk together powdered sugar and remaining 1 Tbsp. lemon juice and 1 1/2 tsp. milk; drizzle over tartlets.